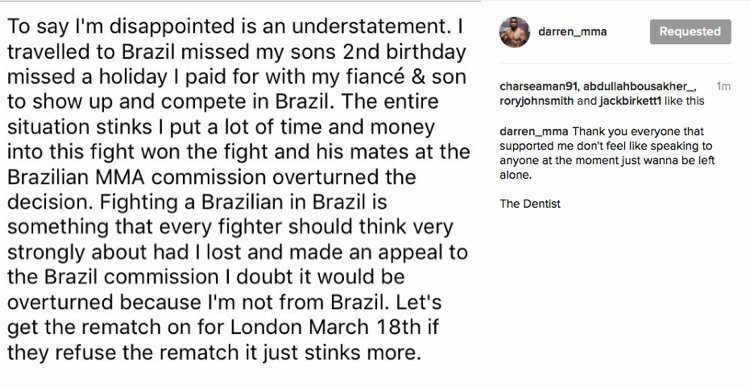 The Brazilian MMA Athletic Commission (CABMMA) on Tuesday announced that it had changed the outcome of Darren Stewart’s UFC debut effort from a victory over Francimar Barroso to a no contest due to a controversial headbutt. 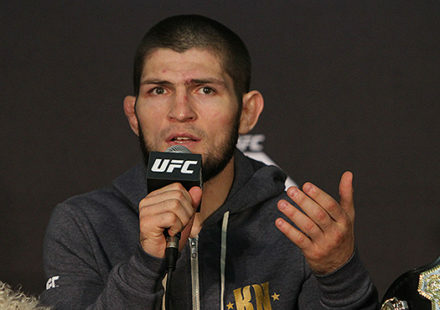 Stewart had a strong retort to the decision, alluding to the Brazilian commission showing favoritism for its home country fighter. “The entire situation stinks. 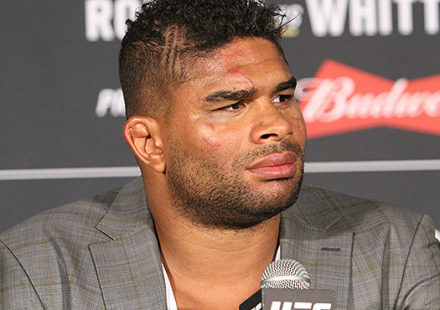 I put a lot of time and money into this fight, won the fight, and his mates at the Brazilian MMA Commission overturned the decision,” Stewart wrote before adding a warning to other non-Brazilian fighters. 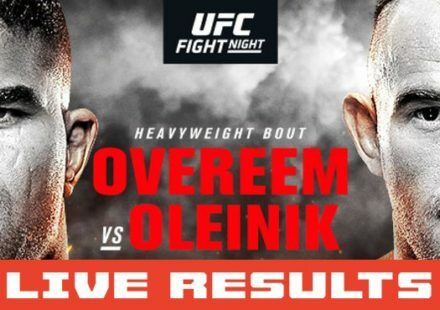 S tewart was initially awarded the victory at UFC Fight Night 100 on Saturday in Sao Paulo, Brazil, stopping Barroso via strikes at 1:34 of the first round. Replays in the arena showed what appeared to be an inadvertent headbutt by Stewart as he charged Barroso, backed him up to the fence, and took him to the canvas. Immediately after the headbutt, Barroso erupted in agony and gave up on his takedown defense. Shortly thereafter, he hit the ground and Stewart hit him with several punches, forcing the referee to stop the bout. After the win was announced, Stewart was apologetic to the booing crowd, insisting that, if there was a headbutt, he never intended for it to happen. Barroso filed a formal appeal. While the referee at the time, Eduardo Herdy, missed the call in the Octagon, the Brazilian MMA Athletic Commission (CABMMA) reviewed the fight and changed the outcome to a no contest.